INFINITI has always been a leader for luxury and performance vehicles, and their impressive track record continues with both the INFINITI Q70 and the Q70L! These luxury sedans are the perfect vehicle for drivers looking to make a bold statement on the road, with power and sophistication in every inch of the design. The Q70 and Q70L are also great choices for the budget-conscious driver, sporting fantastic value and respectable fuel efficiency to reduce trips to the gas pump! The LUXE package is the standard trim option for the Q70 and the Q70L but features two completely different engine sizes and associated power outputs. If you want your Q70 to be more fuel efficient on the road while still offering quality performance, then the 330-hp 3.7L V6 engine is your go-to pick! This smaller engine can achieve estimated fuel economy numbers of 18 MPG city / 25 MPG highway for the base and 24 MPG highway on the AWD version. If more speed and performance is your goal, look no further than the powerful 5.6L V8! With an impressive 420 horsepower, you will experience amazing performance with every acceleration! This larger engine also does not sacrifice much fuel economy, getting 16/24 MPG estimates for the base and 16/23 MPG for its AWD counterpart! The Q70L has similar numbers for the 3.7 version in terms of power and efficiency, but the 5.6L has 416-hp and 16/24 MPG estimates on the base. The AWD gets 16/23 MPG estimates in comparison. Both the Q70 and the Q70L are loaded with fantastic interior features that will surely please any driver! The Q70 already features an astounding 44.4” of leg room in its cabin, making it among the most spacious luxury sedans on the market today. It is second only to the Q70L and its additional five inches of leg room! Drivers and front passengers will love the leather-appointed seating surfaces on the Q70, as well as a heated steering wheel for the driver to appreciate on cold days! The Q70L takes this one step further with 10-way powered climate-controlled front seats and heated rear seats! Both the Q70 and the Q70L are standard with fabulous an InTouch™ multimedia touch system for a great selection of practical and entertainment applications! Your music will have crystal-clear quality to it, thanks to the premium 10-speaker audio system by Bose®! INFINITI ensured that the Q70 and Q70L are sedans that drivers can handle with optimal control and precision. Both vehicles feature the innovative INFINITI Advanced Air Bag System, which uses sensors and other monitors to adjust air bags according to crash severity or if an occupant is in the seat. Handling the Q70 or the Q70L is also virtually effortless thanks to the Vehicle Dynamic Control system with additional Traction Control for enhanced grip and control on even icy conditions. 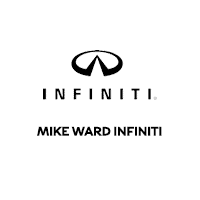 The AWD versions of both cars add the extra benefit of the INFINITI Intelligent AWD system, allowing both the Q70 and the Q70L to assist the driver with additional power to whichever wheels need the extra boost the most!